Having these items may help keep panic at a minimum. Keep these items in a safe place you can go in the event of any type of storm. If you have a basement, or possibly in a bathroom closet if you do not have a basement. The canned food should have a long shelf life so be sure to check expiration dates at least once a year and replenish your supply if necessary. Also be sure to regularly test your batteries. Our community consist of many businesses, schools and other learning centers and is a melting pot of places of worship. 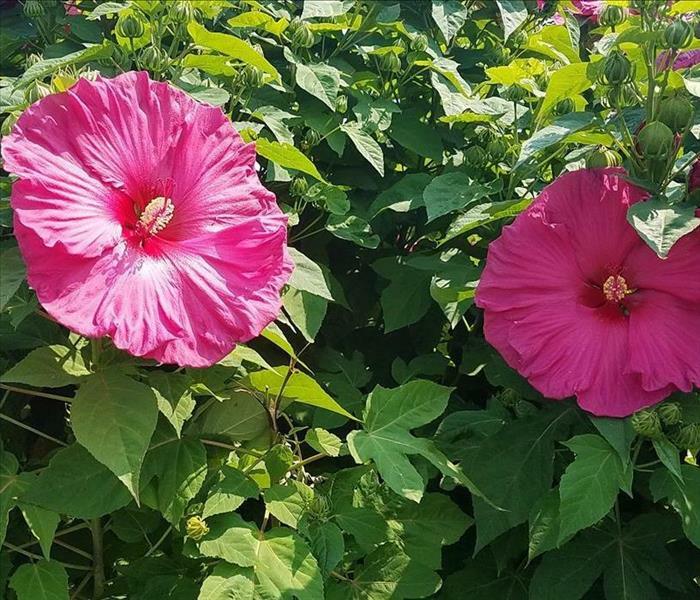 We at SERVPRO of Orland Park take pride in being able to support them and the many organizations who depend on the kindness of donations and volunteers to thrive. SERVPRO of Orland Park strives to build relationships by attending workshops, meet and greets, participating in local golf outings and hosting Lunch & Learns with our insurance agents. Whilst our specialization is providing emergency cleanup services, we are here to provide the many business in our community with general cleanup services, carpet and upholstery cleaning, and vandalism clean up as well. 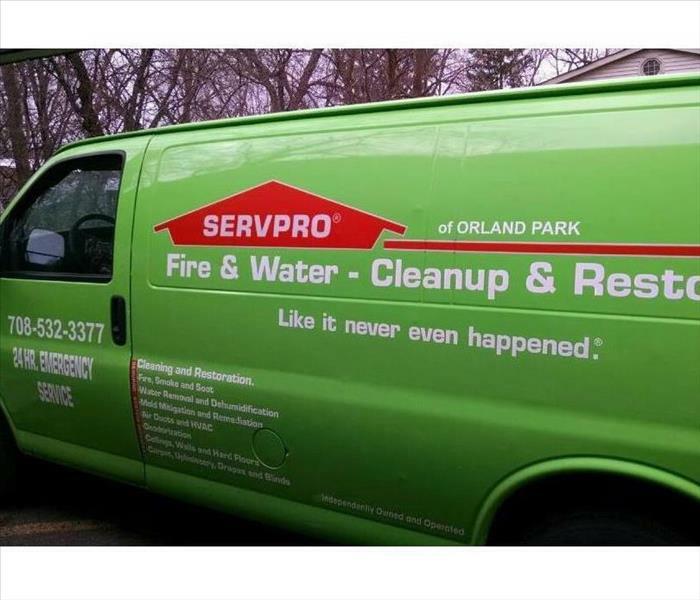 No matter how large or small the job may be or the time in which the disaster occurred you can count on SERVPRO of Orland Park to be there…fast. Most everyone has heard of the saying "April Showers Bring May Flowers." The arrival of April is the first sign in the Chicago area that warmer temperatures may finally be on its way. First we need to get through the April showers! Now that the temperature is slowly moving up, this a great time to get outside and check the outside of your house and get prepared for any rain that maybe coming in the month of April. Check around the outside of your foundation for any cracks where water might possible find its way into your basement. Also, you should check your sump pump and make sure it is working properly. If you are able to, clean out your gutters and make sure your downspouts are working correctly. If you do experience any water in your basement, call us today, we can come inspect it for you. Orland Park Residents: We provide immediate service day or night! SERVPRO of Orland Park provides 24-hour emergency service and is dedicated to being faster to any-sized disaster in Orland Park. We can respond immediately to your emergency and have the expertise to handle your restoration or cleaning needs. Advanced Restoration and Cleaning Equipment. Orland Park business affected by water caused by broken pipe. 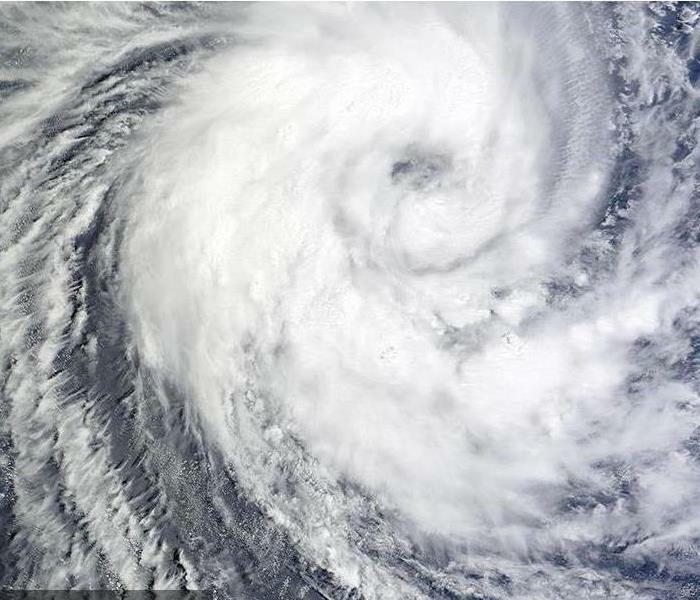 No one can predict when a natural disaster is going to strike. When it does, the aftermath can cause panic and stress. That’s why people call us. Our team of highly trained technicians are available to respond to any emergency around the clock. We are available every day of the year to help businesses and families in Orland Park recover from water damage and get their life back too normal. After large scale disasters, SERVPRO Orland Park acts quickly to mitigate the damage caused by water accumulation. We not only remove the water quickly, but we also work to salvage any furniture or equipment that we can. No matter how big or small your water damage may be, we have the proper training, equipment, and products to restore your home or business to preloss state. 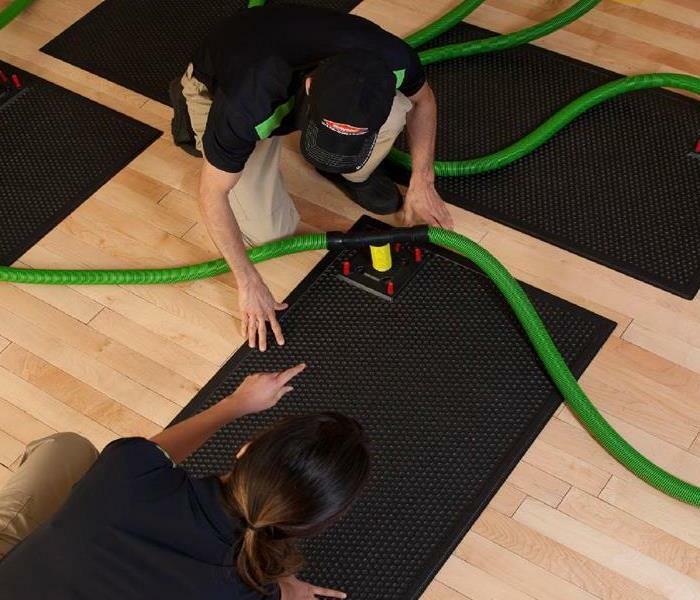 WHY CHOOSE SERVPRO of Orland Park? Because we strive to provide the best possible service all the time. If you are a business owner, you may feel like you have a lot to lose if a fire were to occur in your business. Many fires can be avoided if employees are trained properly on how to prevent them. 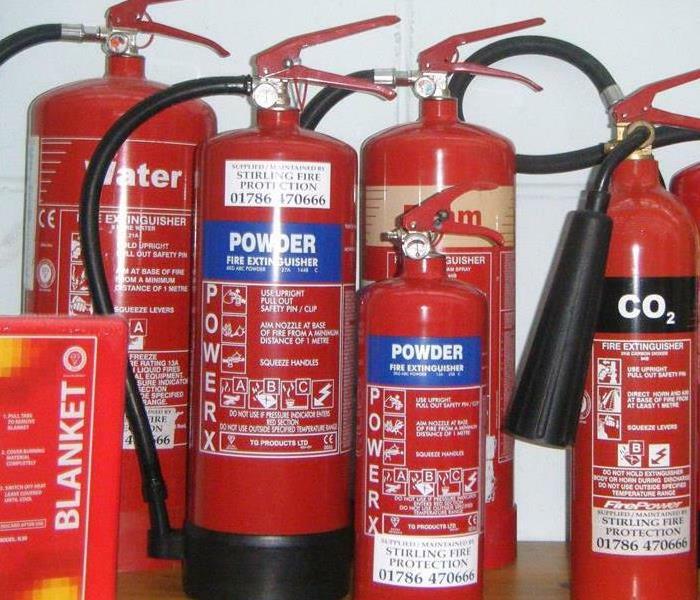 According to OSHA if fire extinguishers are available, it is the business owner's responsibility to educate employees on how to properly use one. The training should be provided when the employee is initially hired and then once a year for a refresher. 2. AIM low, at the base of the fire. 3. SQUEEZE the handle to activate. 4. SWEEP from side to side at the base of the fire until the fire is out. If you experience a fire in your home or business call us today (708) 532-3377. One of the most common phone calls we get are from concerned residents who think they have found mold in their home. The first question that we ask them is if it is visible or not? The second question is where is the mold located? At least half of our customers who call regarding mold are in the process of selling their homes and an inspector has found mold in their attic. Mold in your attic can be caused from a number of reasons. Improper ventilation system from a bathroom or a leaky roof are the top 2 causes. Most people usually do not inspect their attic unless they notice something visible on an interior ceiling, a musty smell or if they store items up there. If you see signs of mold, call us today (708) 532-3377. For more information on our mold services you can click here: Mold Remediation and Restoration. The Institute of Inspection, Cleaning and Restoration Certification (IICRC) creates the standards for the restoration industry and provides training and certification to restoration companies. 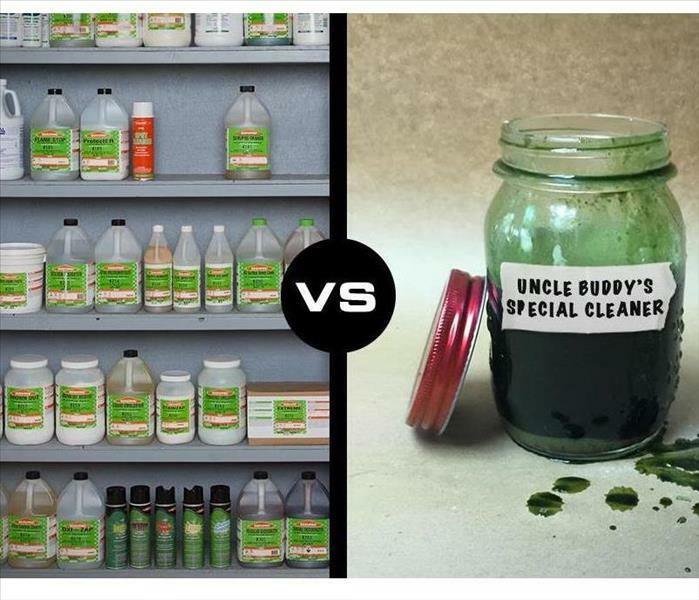 They have established the reference guides for professional carpet cleaning, water damage restoration and mold remediation. These IICRC standards take years to develop and require the coordination of experts in the field: manufacturers, industry organizations, insurance professionals, training schools, contractors, and public health professionals. Every five years the standards are reviewed and updated. The water damage restoration field changes rapidly with advancements in technology and science, and therefor the standards must evolve to keep pace. At SERVPRO of Orland Park, we believe in continuous training: firm initial and ongoing training at SERVPRO's corporate training facility to regular IICRC industry certification. You can rest assured our staff is equipped with the knowledge to restore your property. 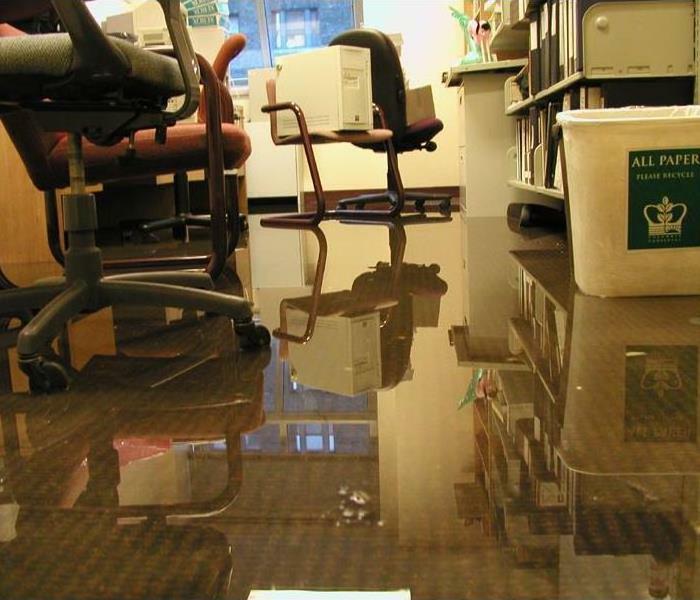 At SERVPRO of Orland we know that every water damage event is a little different and may require a unique solution, but the general process stays the same. We take pride in helping our clients maintain the integrity and structure of their belongings. When a large area of wood floors is affected, we have specialty systems to dry them without removing the entire floor. Replacing an entire floor can be very costly. Wood can easily warp and begin to separate in a short period of time when affected by water. Our inject a dry system uses a special mat with hoses and air movers attached to dry underneath the floor. We take pride in helping our clients maintain the integrity and structure of their belongings. Returning our customers lives back to normal as quickly as possible is our number one concern.